One of our biggest celebrations – St. Louis Mardi Gras – is just around the corner! We love that Soulard is home to the second biggest Mardi Gras celebration outside of New Orleans. Festivities last for weeks here in ‘The Lou’, kicking off with Twelfth Night and ending with the Grand Parade happening on Saturday, March 2, 2019. As long as we can remember, ‘County Cab’ has seen ridership soar surrounding Mardi Gras events in downtown St. Louis. Plus, we’re the official transportation partner of Mardi Gras, Inc.! 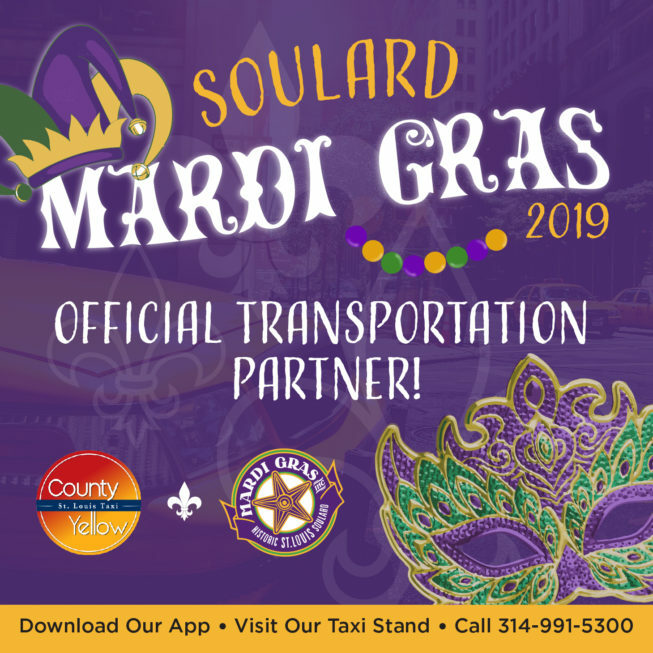 This partnership helps to make sure huge crowds can make it home safely after enjoying iconic Mardi Gras celebrations like the Taste of Soulard and the Mayor’s Mardi Gras Ball. Our taxi cabs await revelers conveniently on-site near Soulard Farmer’s Market during and following the Grand Parade event. Read on to learn more about our favorite Mardi Gras parties, plus our insider tips on experiencing the very best of each event. One part pub crawl, one part foodie adventure, the Taste of Soulard is a self-guided tour across some of the best restaurants in downtown STL. Tickets are $25, and include drink and food sampling tickets. You can choose from a variety of available dishes at participating Soulard-area restaurants, with a focus on Cajun-inspired cuisine. Pro tip: Opt for Saturday to enjoy complimentary trolley rides between establishments! Did you know that St. Louis is home to The Guinness World Record for largest costumed pet parade in the world?! Join or watch thousands of festive fur babies (dogs, cats, rabbits and more!) parade through the streets. Best dressed pets have a chance to be selected as a member of the Court of the Mystical Krewe of Barkus. 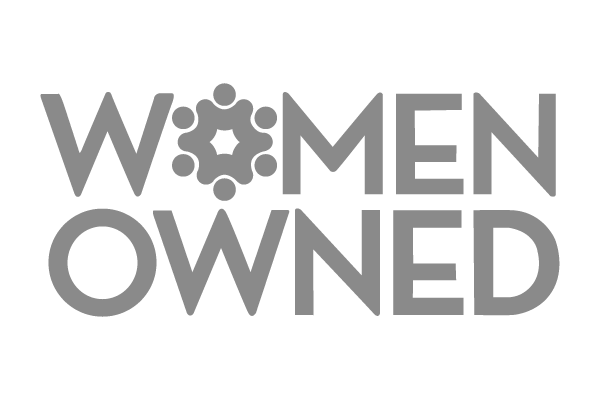 Registration is a $10 donation, benefiting Open Door Animal Sanctuary. This unique parade is celebrating its 24th year in 2019, so join in on the fun by attending with or without your pet or get dressed up to participate in the parade! Pro tip: Bring your camera, there are lots of elaborate costumes to admire both on pets and people! Immediately following the Pet Parade is the adorable Wiener Dog Derby – the longest-running dachshund derby in America! Dachshunds and small breed dogs (those small enough to fit into the starting boxes) compete for the title of the fastest Weenie! Irresistible categories include Cocktail Weenies, Ballpark Franks, Wiener Wannabe and Hot Dogs. The first race heat starts at 2:00 p.m. at Wiener Stadium in Soulard Market Park. Entry fee is $10, and new for 2019 – humans can participate in a Dog Derby Hat Contest! The most lavish of all St. Louis Mardi Gras events, The Mayor’s Ball is a creative black-tie gala with proceeds going to create community grants that benefit Soulard and Downtown communities. Taking place in the Rotunda of St. Louis City Hall, The Ball is a party like no other, often referred to as the social event of the season! Tickets start at $150. Pro tip: Dress to the nines, but don’t forget to be creative! Pair bright prints and colorful accessories with a unique masquerade mask, funky hat or headpiece, festive boa, and of course beads! This is the main event – The Grand Mardi Gras Parade! The parade brings tens of thousands of people to celebrate in the streets of Soulard every year. Over 100 Krewes spend months building floats in a competition to win best float. 2019’s theme is “40 Years of Magic, Music, and Memories”. The parade route begins at Busch Stadium and through Downtown south and Soulard, ending near Anheuser-Busch Brewery. Pro tip: Dress for the weather! While there are many bars and restaurants in Soulard, most are hosting their own parties so you’ll want to be prepared to spend a few hours outside in order to watch the parade. No matter how you decide to celebrate Mardi Gras, you’ll want to make sure you can get to and from Soulard safely. Get dropped off right in the heart of all events with a taxi ride from our always-available drivers. Call 314-991-5300 or use our taxi app to get an affordable ride – always without surge pricing!